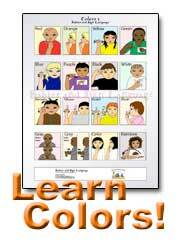 Advertise - Baby Sign Language Website - Get Exposure to Your Business Today! Thank you very much for your interest in advertising with us here on our baby signing website. This Babies and Sign Language Website is the top baby sign language resource for parents, teachers, and various types of childcare staff settings. Currently, this website receives approximately 60,000 visitors per month and close to 200,000 page views (or impressions) per month. We rank #1 at Google for the phrase "baby sign language", as well as top search results ranking #1 at Google, Yahoo, and MSN/Bing for thousands of other baby signing related keyword phrases. When you advertise with us, you will find that we offer exposure to a highly focused and targeted audience. Sorry, we are booked until Dec 2015. Currently, all of our advertising spots are full. As soon as we have more space, we will provide access to our Advertising Kit again. Don't worry -- your e-mail address is totally secure. I promise to use it only to send you Little Hands Express! Subscribe free to baby sign ezine! 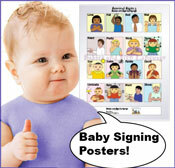 © Little Hands Express 2006 - Babies-and-Sign-Language.Com. Bookmark Our Baby Signing Site!